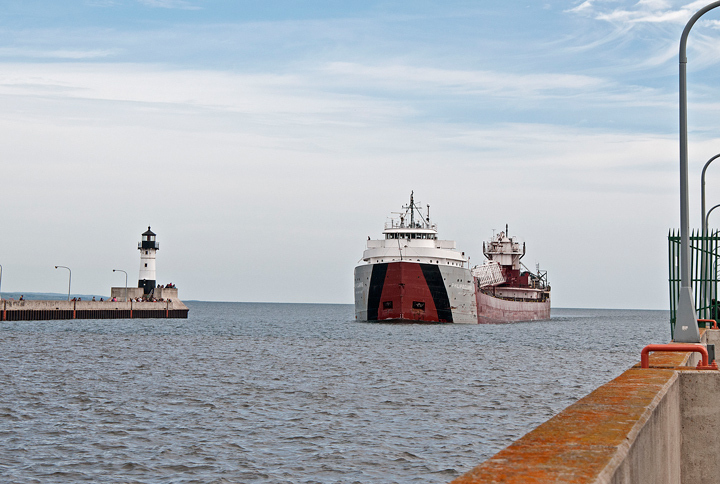 There are a number of Great Lakes Ships in Duluth for winter layup. The shipping season usually ends in mid January and resumes again around the third week in March. As you can see most of the ships are being worked on while they are in port for winter layup. 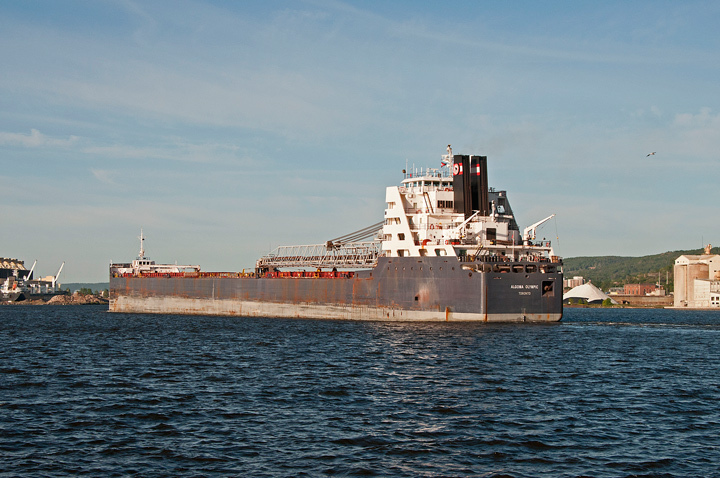 The Philip R Clarke arrived in Duluth at six am. I managed to get out of bed at sunrise and saw that it was attempting to dock. I drove down to the harbor to watch as several tug boats attempted to get it into the docks for winter layup. I finally gave up and drove back to the condo for breakfast. Late in the morning we were leaving town so we drove past the docks to see how things were going. The Clarke still wasn’t docked but they were getting close. 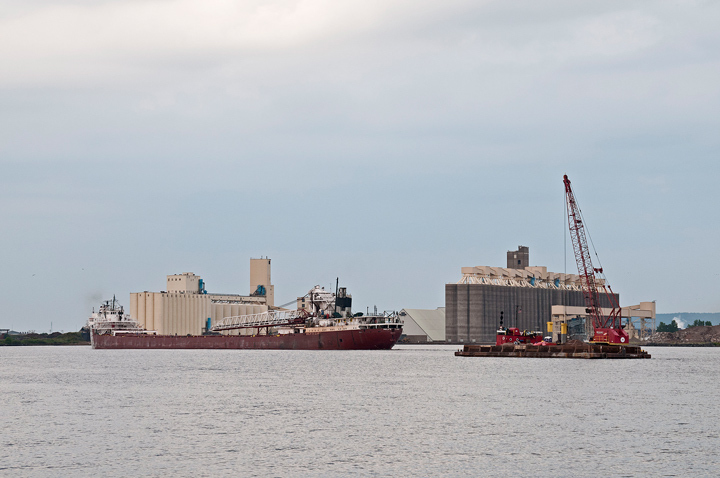 More photos from Duluth Harbor can be found on my website. 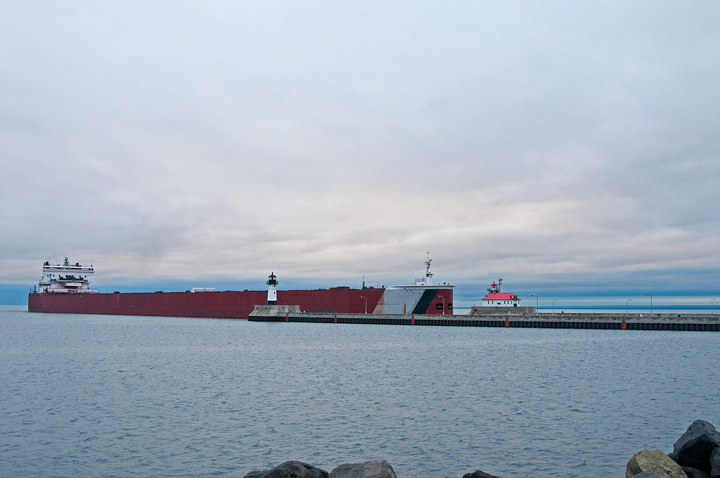 It was one of the last days of the 2016 Great Lakes shipping season in Duluth, Minnesota. 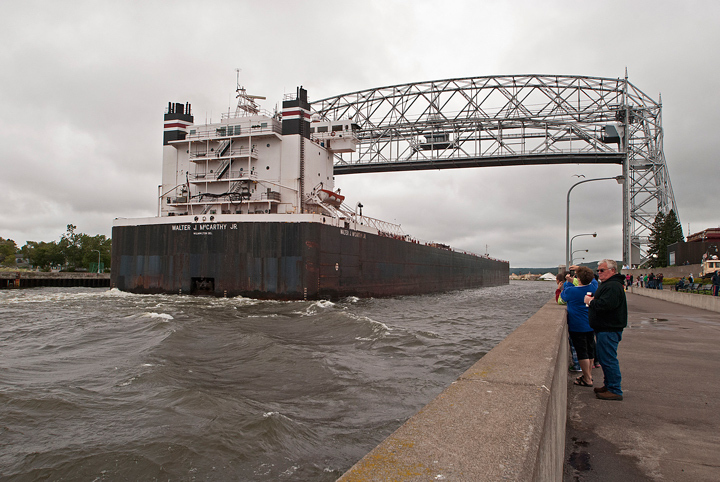 I was awaken at 6 a.m. when I heard salutes as the Philip R. Clark sailed under the Aerial Lift Bridge. It was still dark out so I didn’t get up to go down to the harbor. 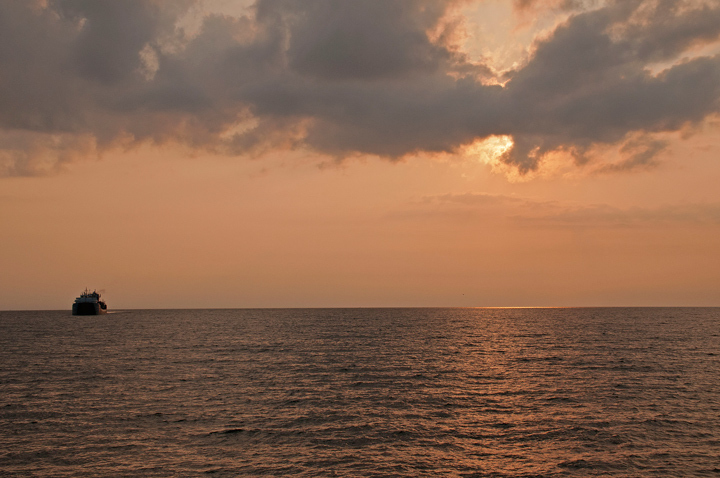 At sunrise I checked on the Live Ship Map to see where the Philip R. Clark was in the harbor. Because of the ice in the harbor it was just attempting to dock at berth 1 at the Port Terminal. I grabbed my camera gear and drove down to the harbor to watch the Helen H from Heritage Marine breaking ice and attempting to pull the Clark into is berth. There were quite a few other Boat Nerds watching and photographing the docking. There was some great light as the sun was just coming up. 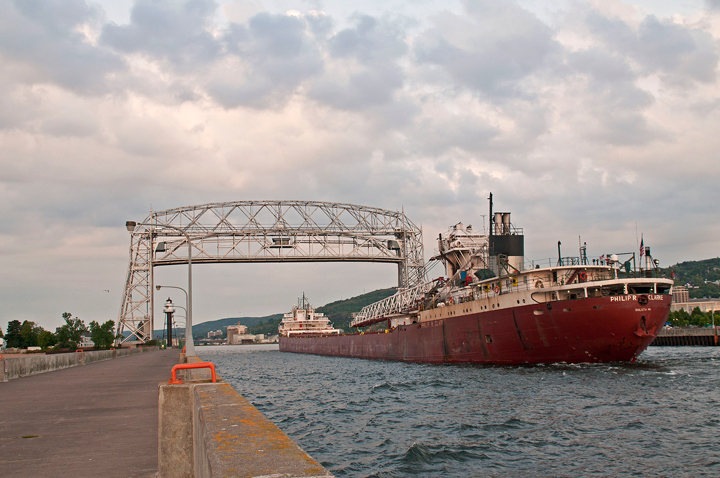 I walked down to the Duluth Harbor to capture a few photos as the Philip R. Clarke sailed under the Duluth Lift Bridge in the early evening. 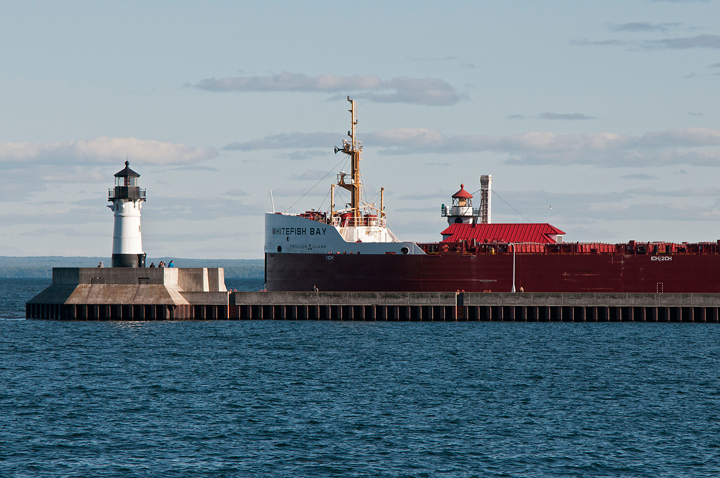 I happened to be out on the South Breakwater photographing the sunrise when the Philip R Clarke arrived in Duluth.